Yes, I am picking on CNN again. 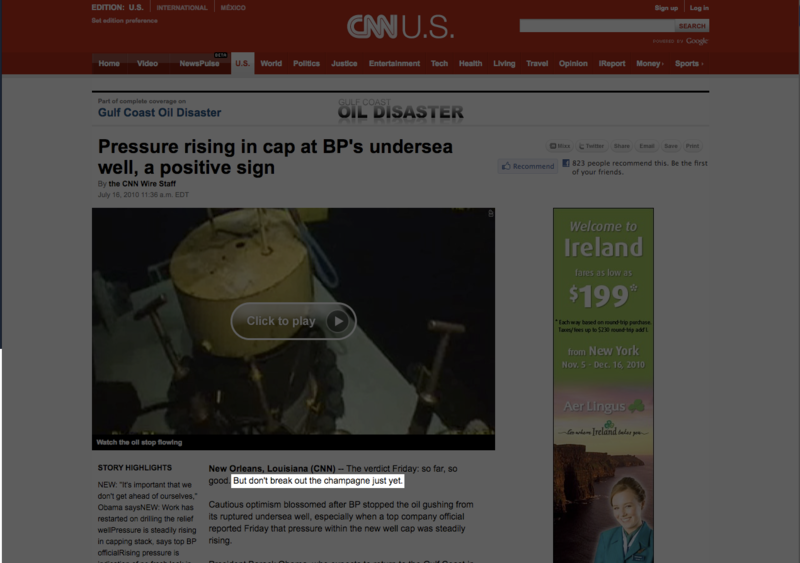 I clicked on a story about this mysterious BP oil cap that suddenly arrived on the scene (only 3 months late) and was amused, and a bit saddened, at the news organization's bizarre word choice. Their lead was, "The verdict Friday: so far, so good. But don't break out the champagne just yet." Champagne? 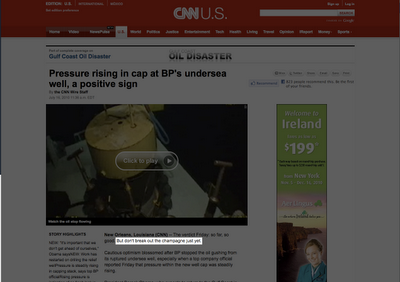 Who the hell said anything about celebrating any facet of this oil spill and the pathetic response to it? Is it great that the cap is on and seemingly working for the time being? Absolutely, but this is one step in an extremely lengthy process. The ramifications from this disaster - economical, ecological, environmental - will extend beyond three decades, possibly more. I don't think anyone will be breaking out the champagne at all.